Tasting with Francois Millet is always a calm, spiritual exercise. He always offers the most visual descriptions about the vintage and of the different wines produced at Vogue. For the 2011s, he describes them as easy to enjoy afternoon jellies with the spirit of the late afternoon sun. The 2012s on the other hand are hard candies with a sweet, syrupy core embodying the spirit of ‘the joy of living’. Francois is often poetic and describes wines like one would imagine images in a manga – visual, sharp and great at capturing the essence of the mood and environment. Vogue is without doubt the epitome of Chambolle-Musigny, embodying the village’s historical significance and uniqueness in the Cote de Nuits. All the wines have Chambolle’s glorious perfume, filled with exotic wild flowers and sweet red berries; they also have the silkiest tannins and an elegance and delicacy that the other wines of Cote de Nuits hardly ever achieve. Much of their success has to do with the impressive vineyards that they cultivate – Vogue is the largest holder of Musigny Grand Cru vineyards, with 7 hectares out of a total of 10. Their wines are so sought-after, at even the village level, that prices are often much above their neighbours. The vineyard is divided by older and younger vines, with only the older vines going into Musigny Grand Cru. The younger vines from Musigny goes into the Chambolle-Musigny 1er Cru. 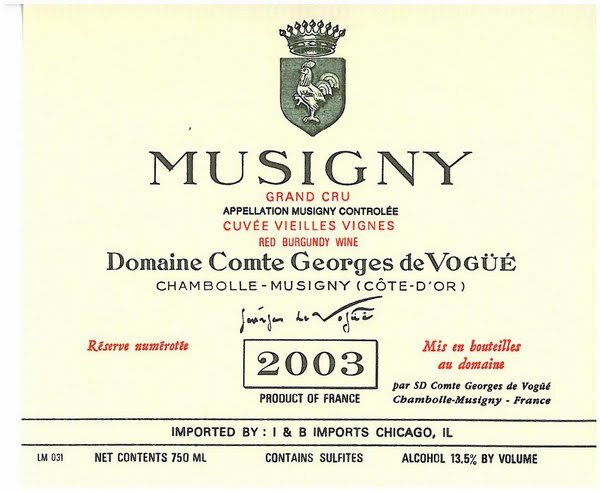 For Francois, Musigny is the patriarch of the ‘family’ or portfolio of wines made at Vogue. 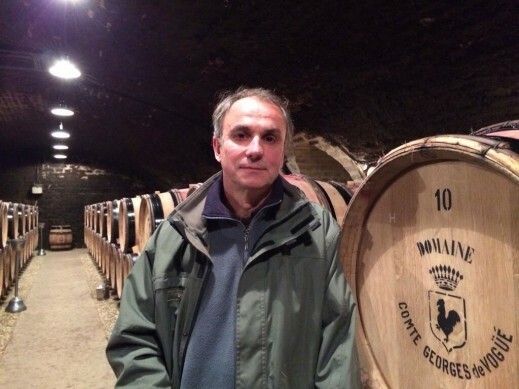 “He [Musigny] is a noble gentleman,” says Francois. “And of course he is married to the love of his life, Les Amoureuses.” Both are unforgettable wines, always consistent, even in challenging vintages.